How is a Steno bredanensis dolphin like? The International Union for the Conservation of Nature defines Steno bredanensis dolphins as a tropical to subtropical species that inhabits the depths of the three oceans (Pacific, Atlantic and Indian). They are found in many semi-enclosed bodies of water (such as the Gulf of Thailand, the Red Sea, the Gulf of Mexico, the Caribbean Sea and the Gulf of California) but are considered visitors to the Mediterranean Sea. Its conservation status is Least Concern (LC), which means that it has sufficient population. 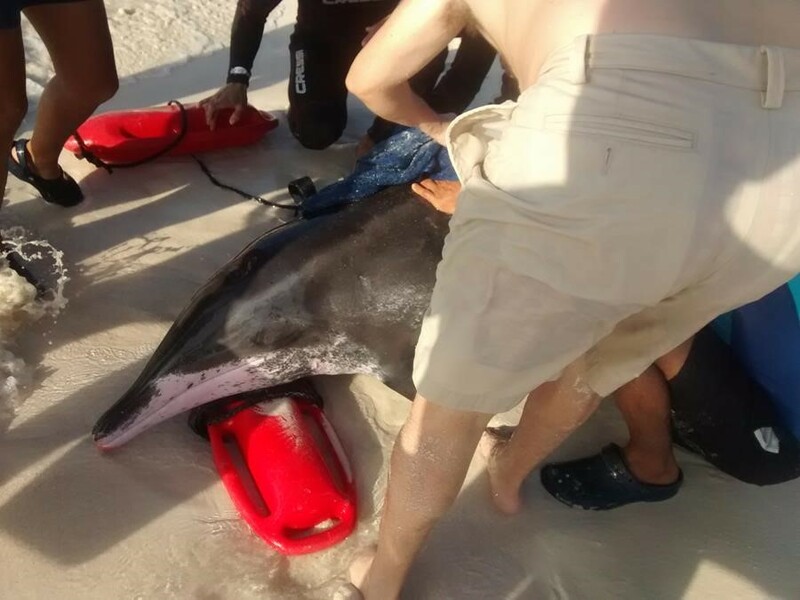 "On our way to work we received a call from the Civil Protection Leader, who reported a dolphin stranding in Cancun, on the beach of the Grand Caribe Hotel, and he asked for our support. I noticed he was nervous and had a sense of urgency since this situation was going already for several hours. We immediately contacted our fellow surveillant and photographer who were already at Delphinus Punta Cancun and asked them to prepare to rescue the mammals; they did it with the best attitude. 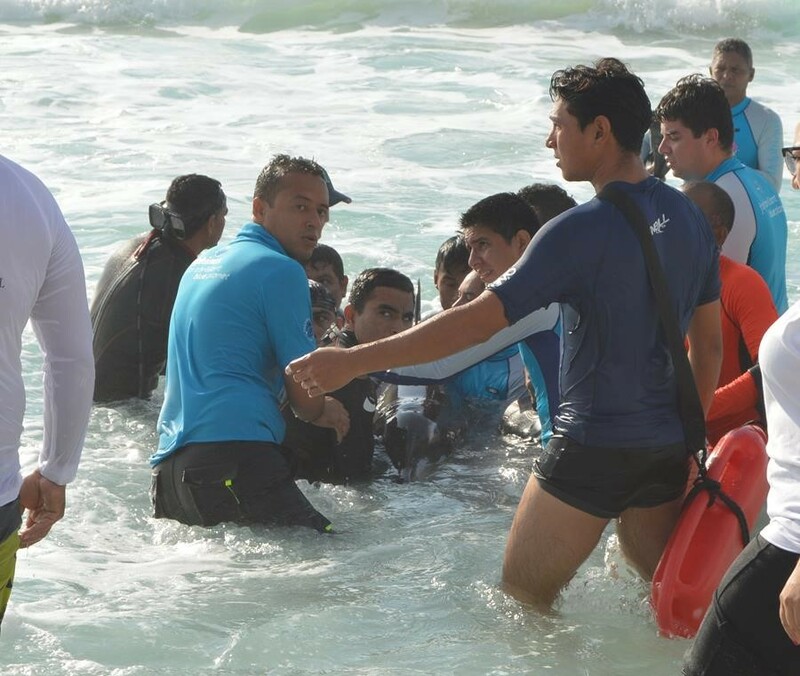 When we reached the beach area of the hotel, we went to where one of the dolphins was stranded and my colleagues immediately surrounded and stabilized it and laid it to rest after fighting the waves. Once our vet Abril was certain that the dolphin was not injured, she took it deep into the water so he could swim and leave. The surf was very strong and couldn’t let it move. We were all at risk. Finally, as soon as the dolphin made it to the deep ocean, it swum and got lost in the water. The next one state was 800 meters away from there, to get there it was necessary to run, even if it was on the sand. It was a small, tired dolphin. Once he was OK, we noticed that there was another one in the area. And when we were done we took our things and left with the satisfaction of having achieved a good work and an experience to tell. Fortunately many people supported, both municipal authorities and hotel guests and, above all, the very respectable Heroic Fire Corps; they arrived very early and did their best to help the dolphins. Firefighters are real heroes of our society." 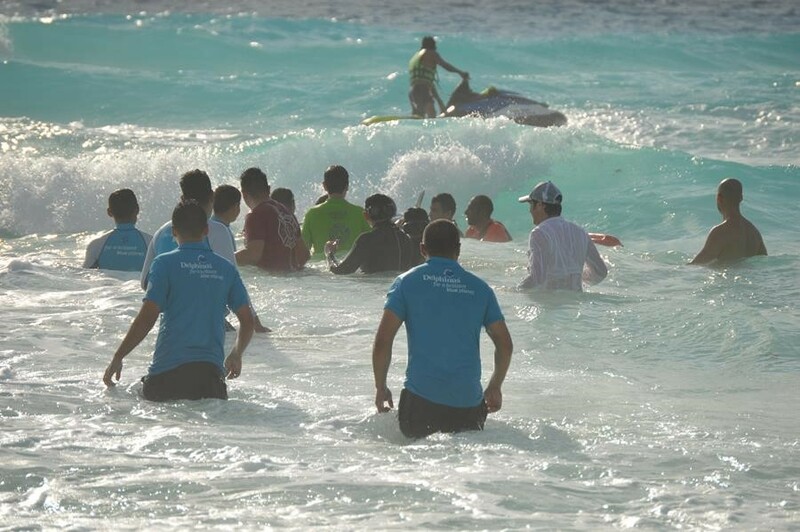 “Being part of the rescue of beached dolphins on Cancun has been one of the best experiences I’ve ever had, since I am fortunate to work at Delphinus Punta Cancun, where I share my office with dolphins. When I reached the beach of the stranding, I noticed that the members of the fire department were completely exhausted from trying in vain to return these animals into the sea; you could still feel the adrenaline and the eagerness to do what was in their hands to help rescuing them. The satisfaction of having in our hands the life of such majestic and defenseless specimens and of being able to return them to the sea has sharpened my sense of protection not only with them but with all living beings." 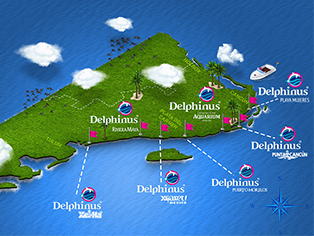 "As part of the Delphinus family, we have always been in constant training by animal care specialists, who have trained us in dolphin management techniques. These skills were useful to us during the stranding. However, although we know how to interact day by day with the dolphins under our care, this turned out to be quite new. A dolphin in wildlife is somewhat extreme and one does not know how it can react in a state of danger. When you come in contact with the dolphins, all you want to do is help them, you think a lot of things as you walk towards them, about how their reaction will be, but they were so exhausted that they let us help them. We were exhausted ourselves as well, but it was our desire to help the dolphins that gave us strength to continue. We learned that helping these wonderful animals is a once-in-a-lifetime experience and we are pleased to know that we are ready for any other such event."